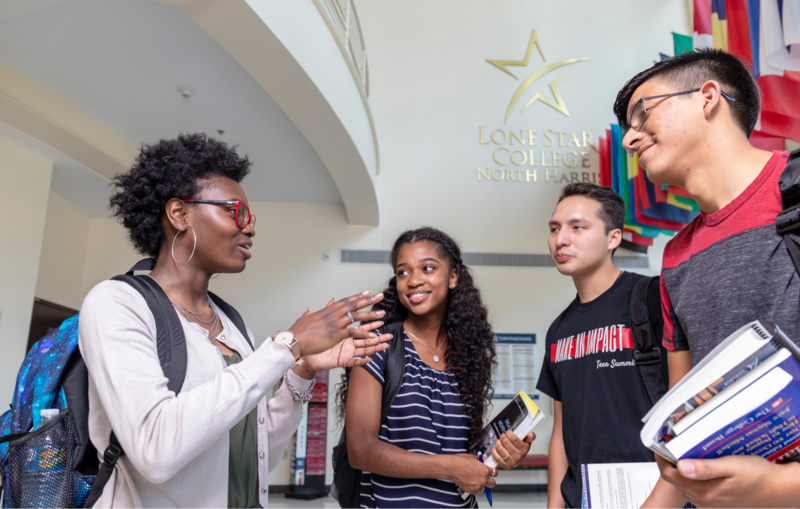 Spring Early College Academy students will take all of their high school classes at the Lone Star College-North Harris campus starting with the 2019-20 school year. Spring, Texas – December 4, 2018: The Spring Independent School District and Lone Star College-North Harris have announced a new partnership that will relocate Spring Early College Academy onto the community college campus on W.W. Thorne Drive. The new location for Spring Early College Academy is another boon to one of the Houston region’s best high schools, offering students the opportunity to graduate with an associate degree while earning a high school diploma. Last spring, it was ranked among the top 10 high schools in the area according to Children at Risk, coming in number seven in the region and number 33 in the state. The non-profit education advocacy group releases its list at the end of each school year, using a variety of metrics to measure school performance, including student achievement, graduation rates and SAT/ACT participation, while factoring in the percentage of economically disadvantaged students. Dr. Gerald Napoles, president of LSC-North Harris, said bringing Spring Early College Academy onto the campus makes sense, since there is considerable collaboration already between the school district and college. Specifically, the Early College will be occupying a vacant portion of the college’s administrative area. While some of the classes will take place in that area, Spring ISD students and teachers will share spaces with the college’s professors and students. Although parents are encouraged to attend the meeting assigned to their child’s middle school, they may attend the meeting that is most convenient for their schedule. Kimberly said the sessions will offer parents the opportunity to ask questions and to see firsthand the beautiful Lone Star College-North Harris campus. For more information about admission, go to www.springisd.org/earlycollege.